More specifically beer in pancake batter. But not just any beer, and not just plain pancake batter. 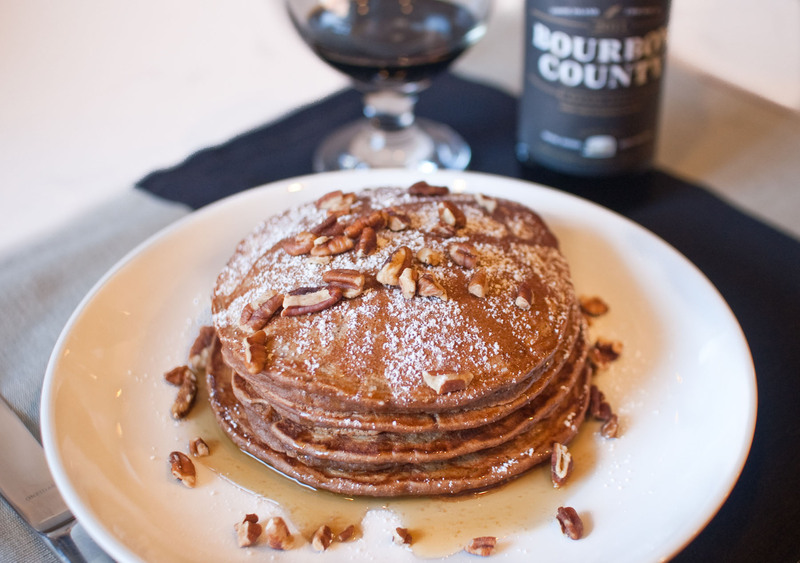 Bobbi over at Fresh and Foodie created a delicious-looking recipe that utilizes Goose Island's Bourbon County Stout to be the winning flavor behind her Bourbon County Stout Pancakes with Cardamom-Spiced Maple Syrup. I think the thing I like best about this recipe is that there is just a pinch more work with these pancakes compared to plain-jane pancakes, but you'll get significantly more flavor. So skip the brunch-line next weekend and eat fancy pancakes in your pajamas.